Is the title on my first paper published in the Springer journal Computing and Visualization in Science. 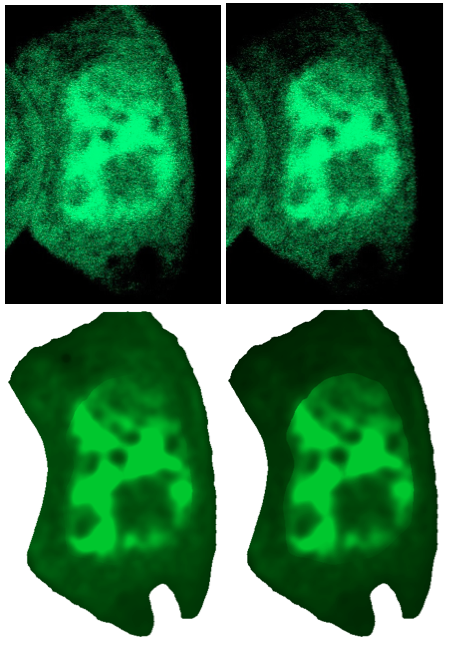 It presents a well–posed computational model for simulation of Fluorescence Loss In Photobleaching (FLIP) based on spatially resolved diffusion and transport rates. The model is a reaction–diffusion system, discretized by continuous Finite Elements. 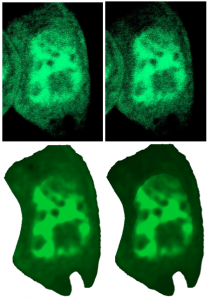 FLIP is a modern microscopy method for visualization of transport processes in living cells. 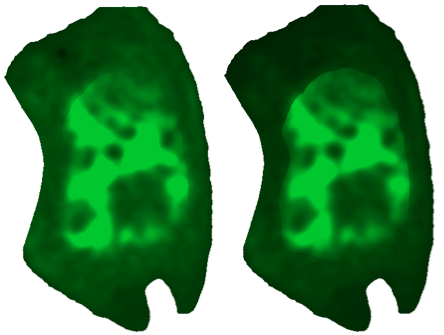 The cell geometry is segmented from FLIP images using an active contours algorithm and the PDE model is subsequently solved in real, two–dimensional geometry. Based on this model, FLIP images are simulated by the use of FEniCS and thus molecular transport in living cells is reliably quantified. In the first row of the image two frames from the original FLIP sequence can be seen. The second row shows the results from the simulation. These models and simulations are the first results published in this paper. Another paper with a new improved model is expected to be published in end of 2016 or beginning of 2017.